Are you planning a trip to Tulum, Mexico and looking for the best Instagram worthy spots? 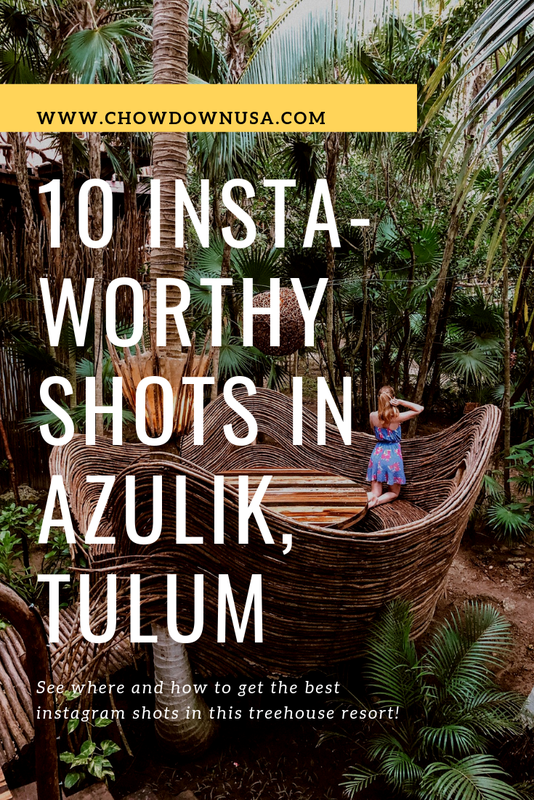 If so, Azulik Tulum is a must-stay resort! 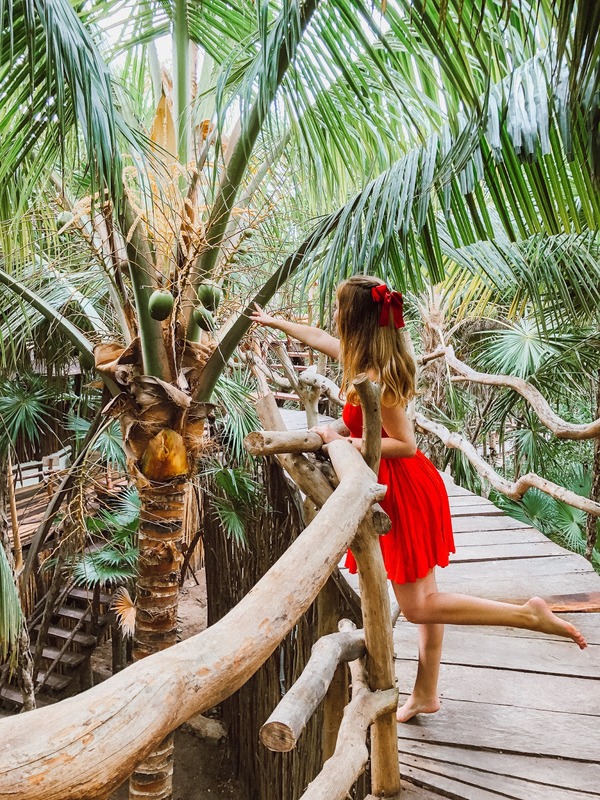 If you’ve been on my Instagram page lately or have seen my full travel guide to Azulik, then you know why I’m so obsessed with this nature-inspired treehouse resort in the middle of paradise! Here you get the perfect blend of jungle and beach, air and earth, and all designed so artfully that it’s any influencer or travel blogger’s dream. 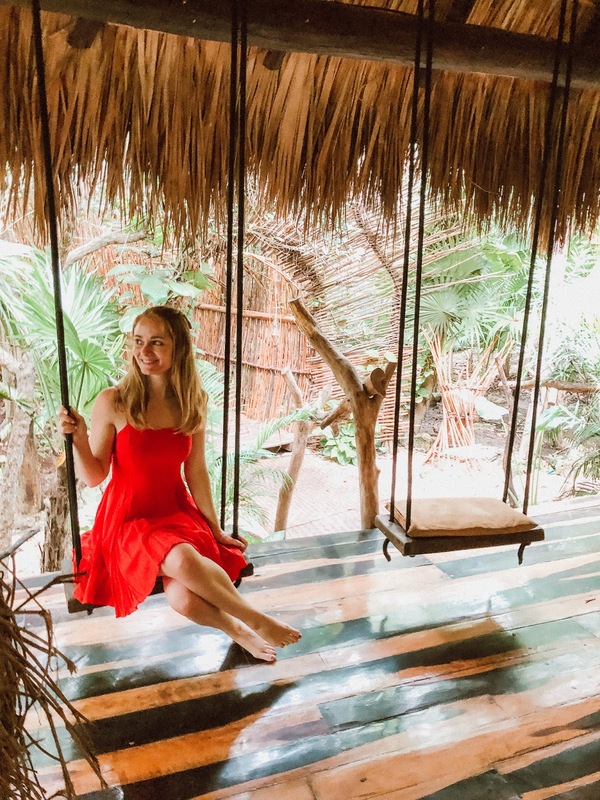 Read on to see all of the top Instagram worthy spots in Azulik Tulum and how to get there – I’m even dispelling some common myths floating around about this place! This net shot is what Azulik Tulum is best known for, and I wanted to clear up some misconceptions that have been floating around about this shoot location since I’ve gotten so many questions on it! The net itself sits about 1-2 stories above ground in the resort’s Kin Toh fusion restaurant. The restaurant is open to both guests and non-guests, so it’s very popular even right when it opens. Even before flying down, we initially emailed Azulik about taking pictures here so that we would have a plan. One person replied that it would require $1,000 dinner reservations (even though we were hotel guests) and that no professional cameras were allowed. To be honest this made me a little nervous, but we figured we would use our iPhones anyway, and go with the flow in the hopes of getting the shot without spending a fortune. They let us know about a sunset champagne for guests which includes 1 drink ticket and occurs right when the restaurant opens, so we signed up for that and showed up at 5:30 PM since it opens at 6:00 PM. They lead our group through Kin Toh to the nest tables outside – the second most popular shoot location at Azulik. It was a bit of a mad rush, though it looks so peaceful, but we were all courteous of each other to take turns getting a very quick shot without anyone else in it. We also got lucky and got a cool shot on the bridge above which is right next to the nests. We then quickly went back to the nets at the front of the restaurant, and there were already quite a few people taking pictures on the nets. One table kind of owned the net in front of it, so they kindly let us take a couple shots but they came out on the darker side so we moved to the other side (near the stairs/entrance. It seemes here there are no dining tables to “own” the nets in front of them, so we were able to have a little more time to get a shot we were happy with. It was still a bit of a waiting game as others took their shots, and felt a tad rushed since we knew people were waiting for us to finish as well. But all in all we got our shots, didn’t spend a dime, and then ate a great dinner at Kin Toh (which was a bit of a vacation splurge but nowhere near $1,000)! 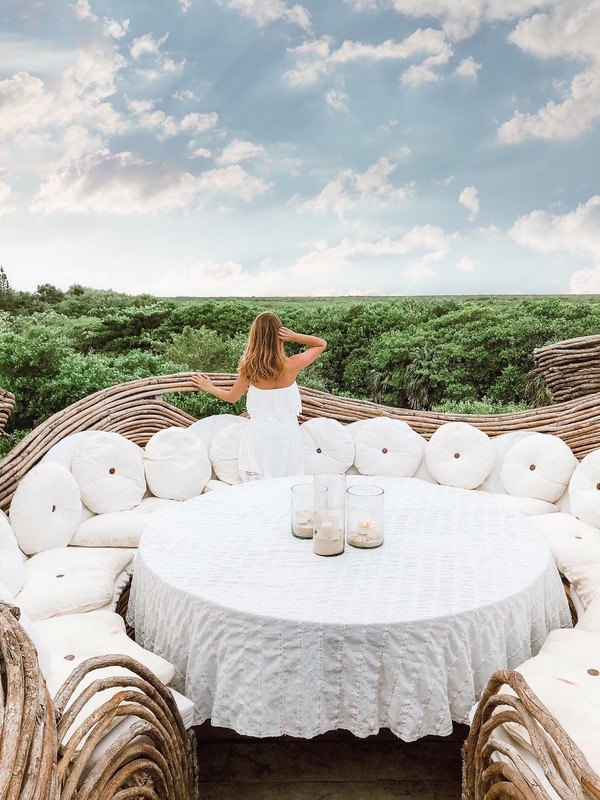 Pro Tip: For the best shots, I would consider staying at Azulik (which you won’t regret anyway, it’s amazing here), getting the guest champagne sunset to have access to the nests and net, and be mindful of the time, since the sun will set quickly. I think we could have gotten away with a professional camera if we had one too, they were very lax about it and no one was really guarding the nets or anything like that. 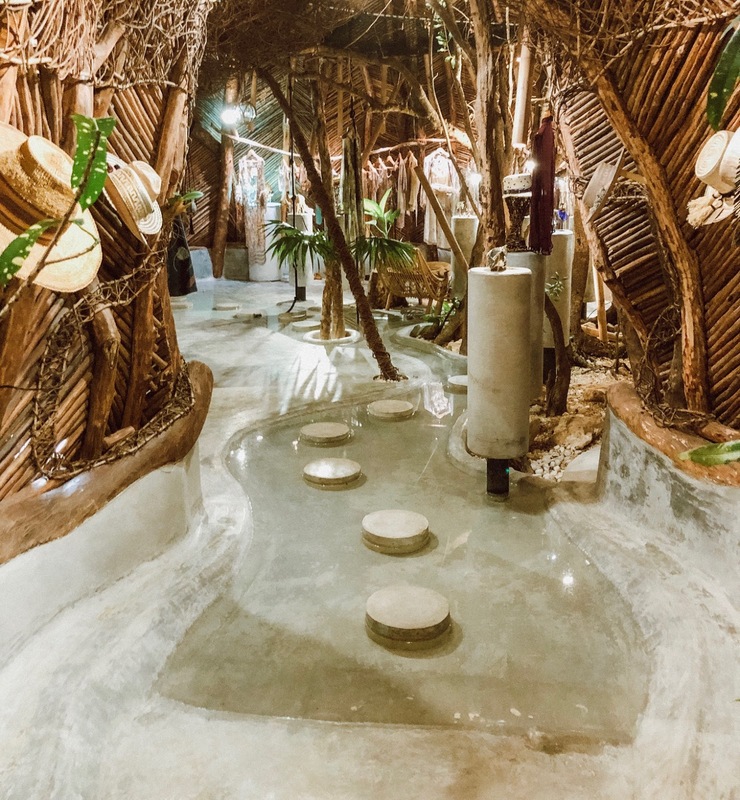 Everything at Azulik has amazing decor to cater to your relaxation and reconnecting with nature. Each suite is different, but they are all incredible. 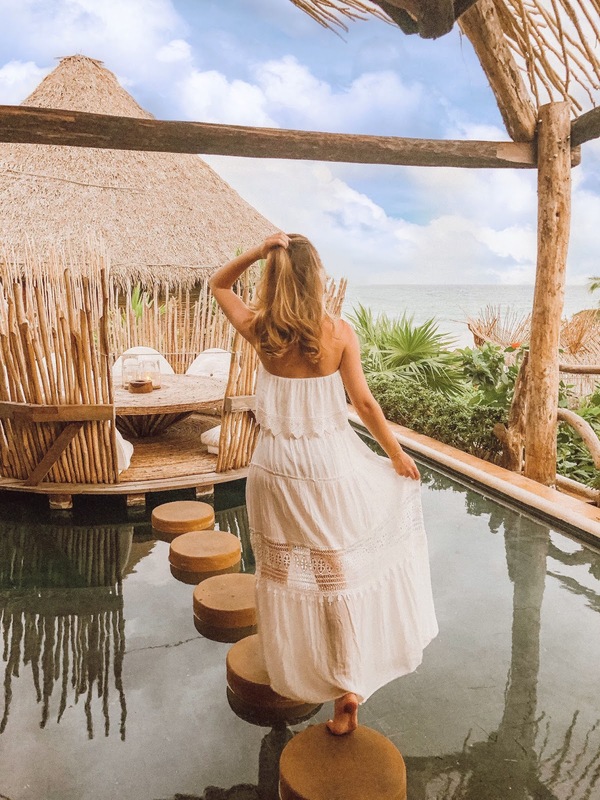 Our Aztec Villa had this stunning canopy bed and two mosaic bathtubs, including an outdoor hot tub and daybed on our private balcony overlooking Tulum Beach. That’s right, you can get one of many suites with a private balcony. Rose petals are not generally included. I asked room service and they happened to be able to get some, but I would suggest bringing some just in case if you want a shot like this. Azulik is based on the 4 elements: earth, fire, water, and air. If you cross the bridge from Kin Toh, you’ll get to Tseen Ja, another stunning restaurant. If you continue on you’ll find steps leading up to these incredible nets high in the air overlooking the beach and jungle. Taking the bridge from Kin Toh gets you to another restaurant – Tseen Ja. Have you seen a cuter table set up? This jungle nest can be found in Cenote restaurant. This was one of my highest performing Instagram shots ever in terms of reach and saves! Pro Tip: This one is only breakfast and lunch, and only available to resort guests, so plan accordingly! I really liked this beach sign in the jungle for some reason! Their semi-private beach is perfect for lounging by day and stargazing by night. I could sit here all day every day! How picturesque are these Tulum daybeds on the beach? They didn’t seem to cost anything to lounge on for guests. Be advised clothing is optional here, which we did not realize and had to crop out some people later! More nets on the beach! Love this vantage point. They offer a complimentary spa cleansing here. I wouldn’t necessarily recommend carving out time for that, but it makes a great shot here! This is near Cenote restaurant (only available to guests). Loved this tunnel! This shot was another one of my highest performers. P.S. I’ve gotten a lot of questions on where to shop for pretty vacation dresses. Express is one my go-to’s – check here for coupons! 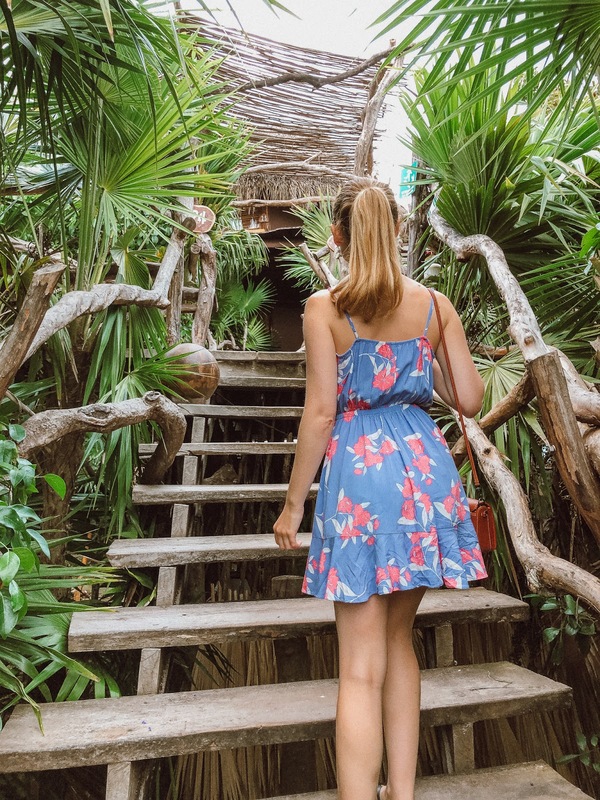 Even just the paths to your room are gorgeous and lined with jungle trees. There is truly nothing ordinary at Azulik, and this will come out in every photo you take here, making so many spots Instagram-worthy! Open to non-guests, even the store is a work of art. Not pictured is their art gallery, which is gorgeous in its own right but we didn’t have time to visit this trip – just a good excuse to go back soon!